A good quality Authentic Navajo rug is an heirloom investment, and will increase in value. 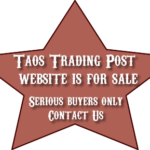 Taos Trading Post does not trade antique Navajo weavings or museum quality Navajo tapestries of 80 or more wefts per running inch; either commanding up to $10,000 or more. Our strategy, is to cater to the average buyer; we specialize in the acquisition and sale of contemporary authentic high quality good to fine Navajo rugs or weavings. We include our pledge, a Navajo Native American Indian Certificate of Authenticity, with every Navajo rug we sell. Our Navajo rugs, blankets and weaving selections are frequently updated, so if you visit our website and some of our rugs are sold, or you don’t see precisely the rug you are looking for, revisit us in a week. 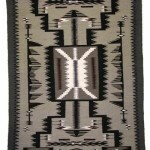 We are continually acquiring fresh and exceptional Navajo weavings. We regularly visit the Navajo reservation; and to ensure our quality remains superior, personally evaluate the Navajo rugs, blankets and weavings, we duly select. 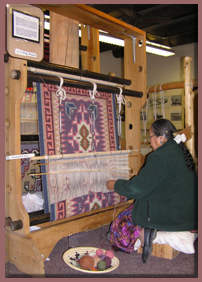 We refer to the contemporary Navajo weavings we market as Navajo rugs, weavings and Navajo blankets; some people also describe Navajo weavings as wall hangings, or saddle blankets. We understand that to be precise, contemporary Navajo weavings are not blankets, since weaving of Navajo blankets was progressively replaced by the weaving of rugs between 1890 and 1920. Given that some buyers use the term Navajo blankets while shopping for contemporary Navajo weavings, we will continue to embrace this term. Experts assert prices for good quality Navajo weavings increased 700% from the mid 1960’s to mid 1980’s, and over the past 20 years, is increasing by 10 to 20% per year. Navajo rugs, blankets and weavings have been in existence for approximately 300 years. Unquestionable, Navajo weaving will undergo further change, and one possibility is a decline. The more optimistic view is that this Navajo art is on the threshold of widespread public acceptance for what it is, an art form. 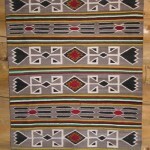 Today, Navajo rug production is high, the quality is excellent and rug prices continue to climb. It is our hope this pattern continues, and Americanization will not someday be the demise of Navajo weaving. In either event, buying a Navajo rug is a good investment. As an alternative to authentic Navajo weavings, we also offer Navajo rug replicas made either in Mexico by Zapotec weavers, or in India by Tibetan-Nepalese weavers. We recognize although some buyers appreciate the Navajo style and design, the cost is prohibitive. They choose to decorate attractively but more affordably. Understanding this market, our trips to Mexico, provide the ideal occasion to look in on local market places, trading the traditional southwest and Navajo design rug art of the Zapotec weavers from surrounding villages. 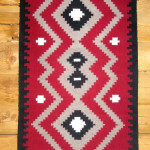 These Indian, southwest and Mexican Zapotec rugs are not a threat to the unique consummate Navajo rug, but an alternative; and upon close at hand examination, are easily differentiated from authentic Navajo rugs, weavings and Navajo blankets. These replicas contain the classic colors and do; moreover, introduce the Southwest Indian atmosphere to your home, but at a fraction of the cost. 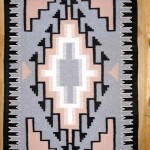 Taos Trading Post is an online store, offering a tasteful variety of authentic Native American Indian rugs. We have been buying rugs for over 20 years, are family owned and operated, and committed to providing our customers with quality rugs, coupled with unsurpassed service. Our store sells only those weavings that meet our superior standards; and will therefore provide you, the customer, with years of pleasure. We stock a choice selection of contemporary Native American rugs, including Navajo, Mexican Zapotec and Indian rugs. We offer an attractive selection of authentic hand spun Navajo wool rugs in regional rug styles, including the popular Ganado, Storm, Two Grey Hills, and Teec Nos Pos designs, and our pledge of authenticity. Whether you prefer an authentic Navajo weaving or replica, our Southwest rugs will introduce the Native American Indian atmosphere to your home. 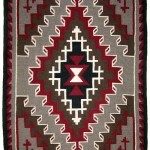 Navajo, Indian, Mexican Zapotec and Southwest rugs, blankets and weavings for sale online. Native American Indian and Southwest rug art.